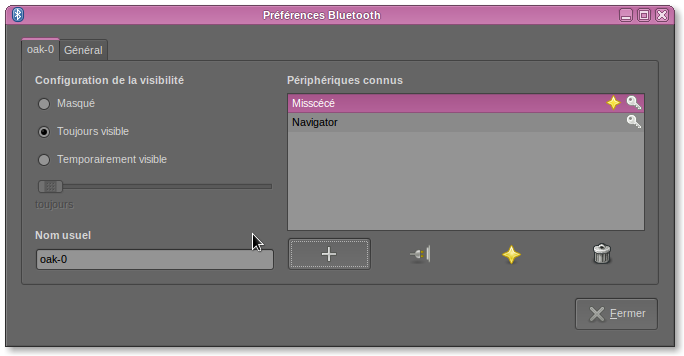 The buttons on the GUI have no label, and the meaning of the icons is not really understandable, especially the star and the plug I'm attaching a screenshot). I was just about to report this. There should at least be tooltips added for the buttons. I was about to report this for Ubuntu 9.04 alpha 5, and I find it was a problem in 8.10? I'd consider it a design/usability issue that is simple to fix. Please add labels and/or hover hints! could someone please explain what the little star and the key mean? Can someone please explain what these buttons mean? Thank you for taking the time to report this bug and helping to make Ubuntu better. 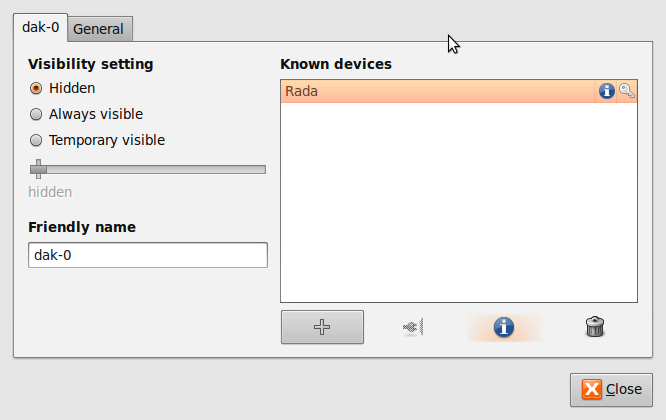 However, I am closing it because the bug has been fixed in the latest development version of Ubuntu - Karmic Koala. It won't be fixed in previous versions of Ubuntu because the package doesn't fit the requirements for backporting. See https://help.ubuntu.com/community/UbuntuBackports for more information. Could you at least explain what the weird looking icon means?